Nick Wilson. Photo via Rule of Tree. 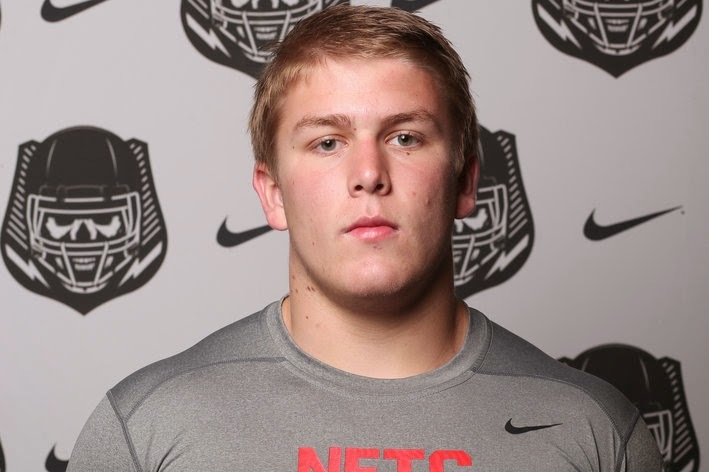 Alpharetta, Ga. high school rising senior offensive guard Nick Wilson (ESPN 300: 227) has committed to Stanford. He becomes the fifth member of the Cardinal 2015 recruiting class. Wilson announced his commitment July 4 on Twitter, complete with tree, U.S. flag, and nerd glasses emoji. Wilson's 247Sports.com composite intangibles are as follows: Wilson is rated as a three-star OG. He is ranked 20th among OG prospects for 2015. He is ranked 31st among 2015 prospects in the state of Georgia, and 312th overall among 2015 prospects. Wilson attends Milton High School in Milton, Ga. He stands six ft., 2.5 pounds, and weighs 285 pounds.